We are thrilled to be part of the Etobicoke Assembly Hall’s Culture Days activities offering 2 super fun workshops for children on September 29. 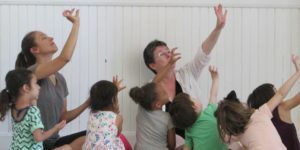 Led by Artistic Direct Lynda Hill, children will participate in games and story adventures that engage their imaginations and draw out each child’s best participation. Learn more about the exciting Culture Days programming here. Register for Up! Up! And Play! for Ages 7-9 Here. Register for Up! Up! And Play! for Ages 4-6 Here.